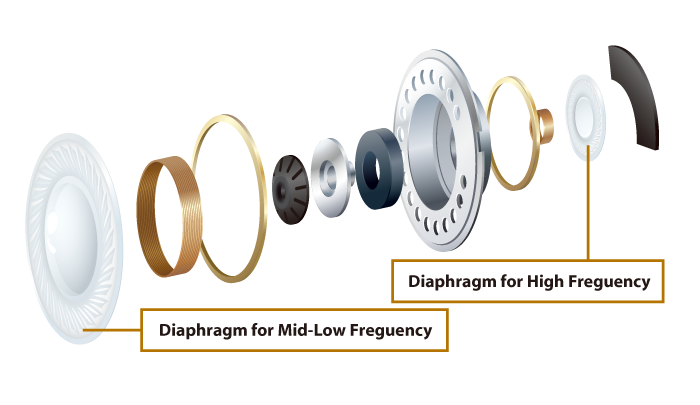 Proprietary unique technology of Radius enabled two diaphragms, high and low, sit together on the same axis.The DDM scheme to achieve smooth sound and spatial representation that could not be delivered by single diaphragm. DMM system produces a rich and crisp bass reproduction.It create spacious sound that represent even atmosohere which hasn't been possible with conventional headphones. Nylon cable in pursuit of a fine texture and supple strength.